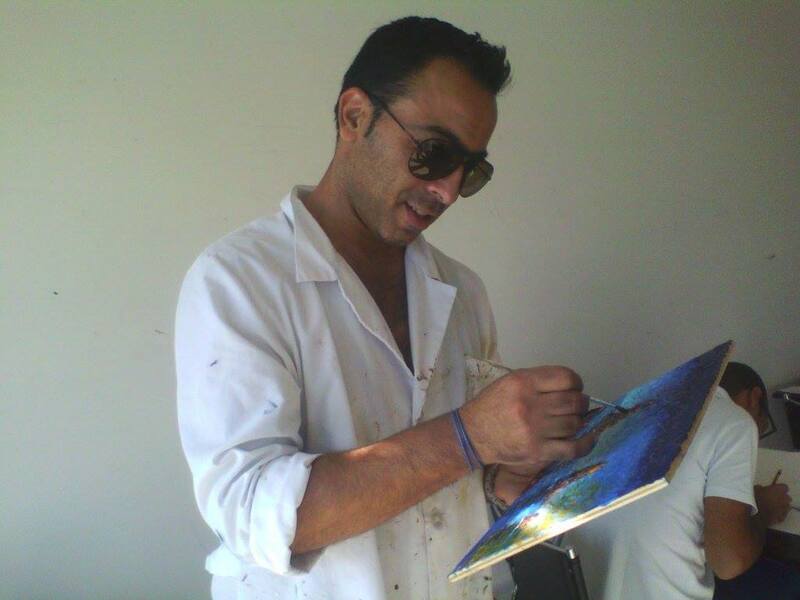 Born in Catania in 1972, he has shown a special inclination for painting since he was a child. For this reason he was inclined to study art but because of others’ opinions he ended up attending technical studies. Despite this, his love for painting has never been abandoned and from 1988 he began attending classes for drawing and painting on ceramics. From 1990 to 1995 he began a personal training program by visiting local artists’ exhibitions and famous exhibitions in several big national and international museums as well as reproducing works by major nineteenth twentieth century painters. It was the moment when he started reproducing Van Gogh’s works that the creative impulse he was unconsciously keeping within himself started to bloom. 1998 marks the beginning of a series of important exhibitions for this artist, including his first personal painting exhibition at the City Palace in Acireale where for the first time his Portrait of child painting, the first work which shows his “chipped” style which represents a personalization for all his works, was shown. The artist lives and works in Acitrezza, in the province of Catania. In 2001 he founded a School of Art where he teaches painting and drawing; as Chairman of the Cultural Association “Art’è …” he also organizes art exhibitions and awards events for painting and successfully involving public administrations. Among his most recent exhibitions are the Contemporary Art Talent Show of Padua, November 2013; Art Expo Bari, March 2013; “Artists on display”, Parma, March 2013.